Please visit my Help Lunch for Life page and consider donating to this fundraiser for Children's Neuroblastoma Research. Owen Lea, Sydney Dungan, and thousands of other children and their families thank you! 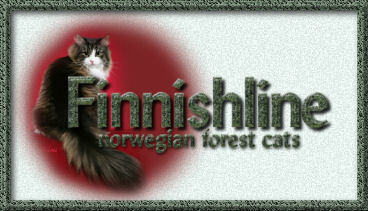 pictures of Norwegian Forest Cats. A very friendly group! I suppose I ought to explain this link... For many years I have collected hippos. Not the real ones, of course! Anyway, much to my amazement, I happened upon a group of fellow hippo lovers and this is their home page. 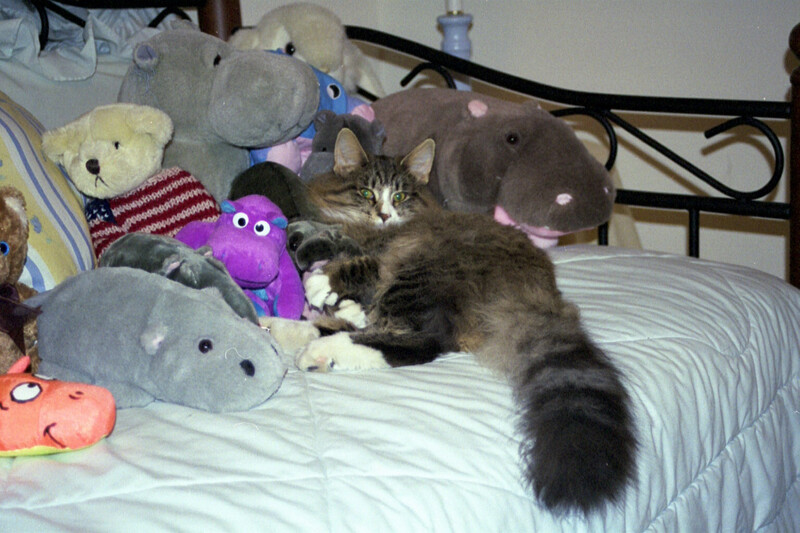 Shira enjoys napping with a few of my hippos. 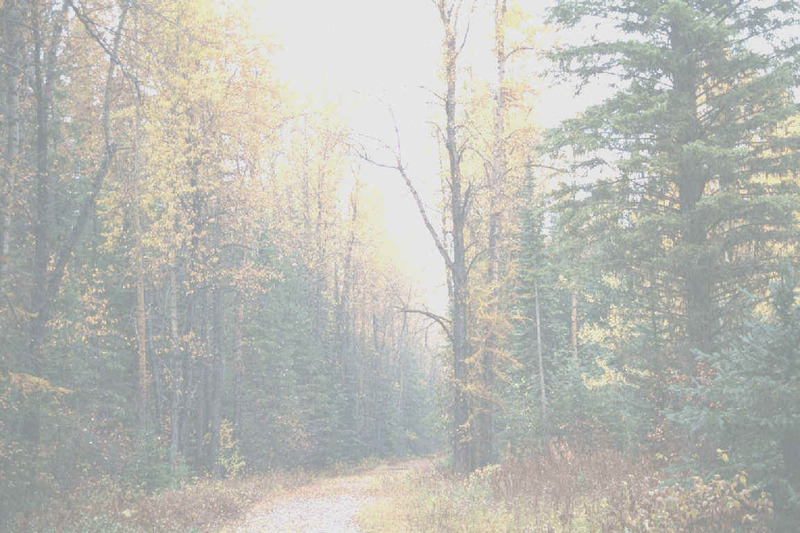 This is my wonderful husband's site.